Join the discussion on our forums! Come discuss Eager Underling over in our dedicated Eager Underling discussion topic. 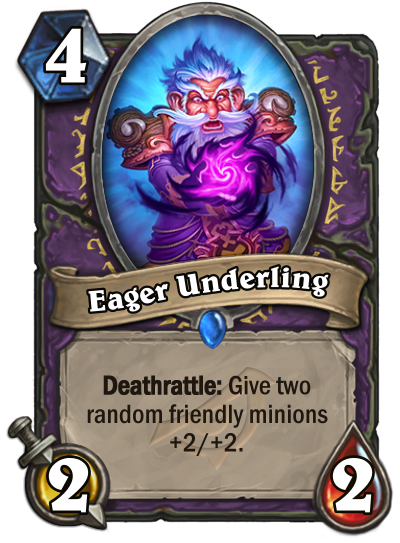 Grim Rally and this card creates as many stats as Fungalmancer (and even more damage if you can attack with this minion) but the combo is more versatile. The combo looks good, the card by itself is not.